A simple model for the growth of mollusc shells. In each case new shell material is progressively added at the open end of the shell. 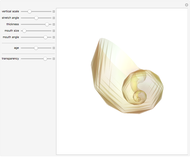 The sliders control the amount of material added at each stage at different points around the opening; the line from the center indicates the progressive lateral displacement of the opening. All shells produced by adding material according to fixed rules of the kind shown here have the property that throughout their growth they maintain the same overall shape. 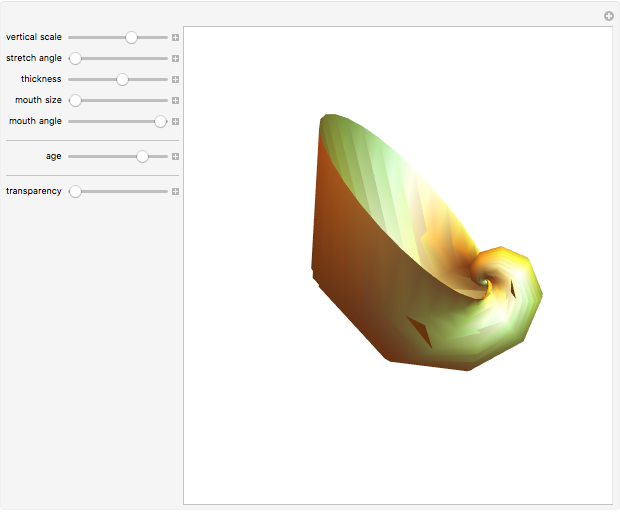 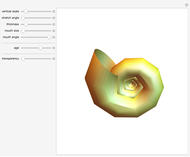 Stephen Wolfram "Model of Shell Growth"